Fag Artigrafiche has developed a new finishing treatment for totally recyclable cardboard packages. 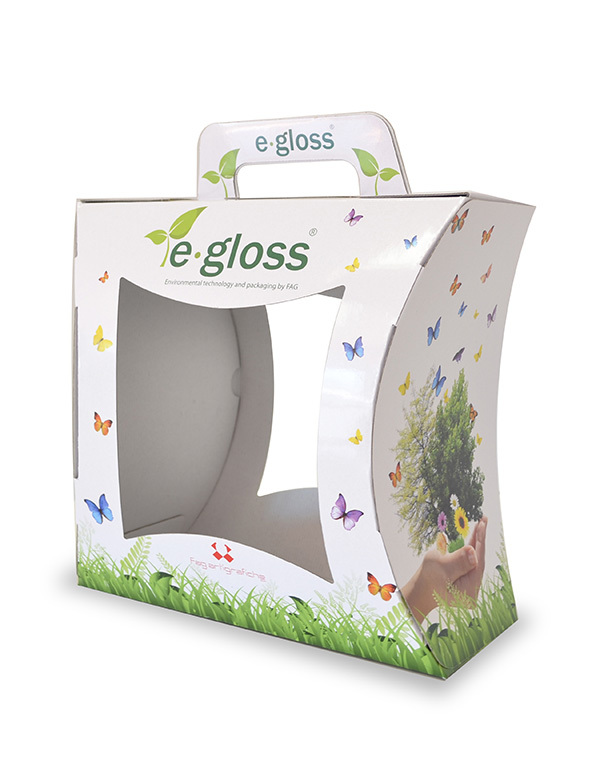 The packaging produced up to the present with plastic coated cardboard is now also produced with an E GLOSS finish, as an alternative to plastic coating treatments and UV painting. This process is carried out using compressed air, which also translates into a reduction in energy and water used for the process. In addition, another innovative technological process applied to this process allows using lighter cardboard. The company has been certified in accordance with standard UNI EN ISO 14001 since 2011. The reduction in environmental impact due to savings in raw materials and management of end-of-life processes has had direct effects on all of the indicators taken into consideration; specifically, elimination of plastic coatings has contributed to a reduction in greenhouse gasses.